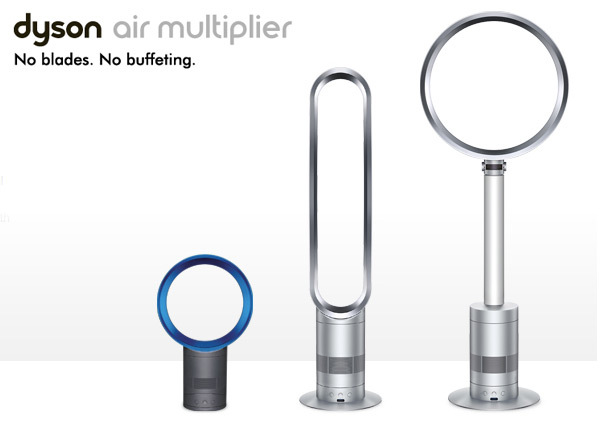 New additions to the Dyson Air Multiplier Fan Range! 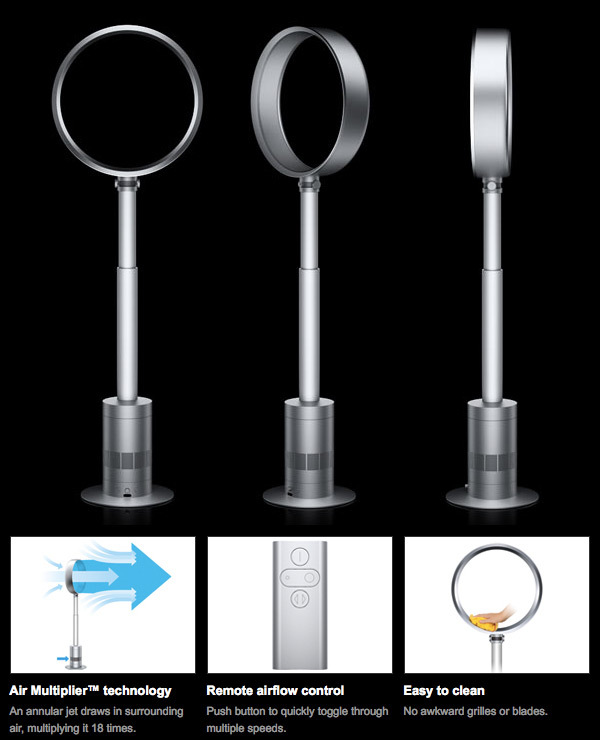 In addition to the original desk fans, Dyson has now added a Tower Fan and Pedestal Fan just in time for the summer heat. 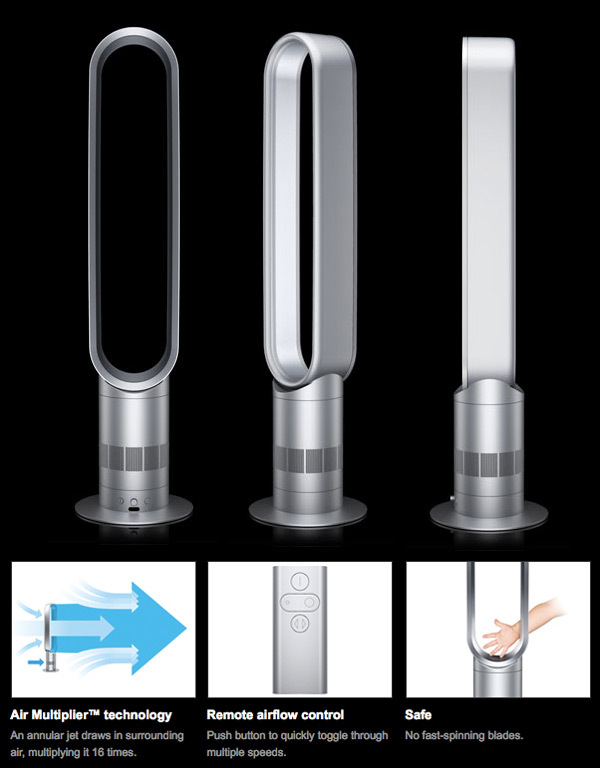 Both are only available in silver, and like the others in the line, have no blades and no buffeting! The tower is 39.65in tall! The Pedastal can range from 46.77” to 55.43” and has a 17.2” diameter. See close ups on the next page!